TheDream.US works out of the offices of Graham Holdings. 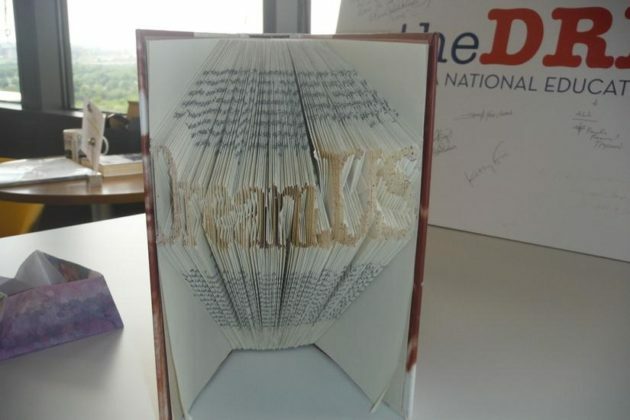 One DREAMer sent in this book as a thank you; the folded pages spell ‘DreamUS’. 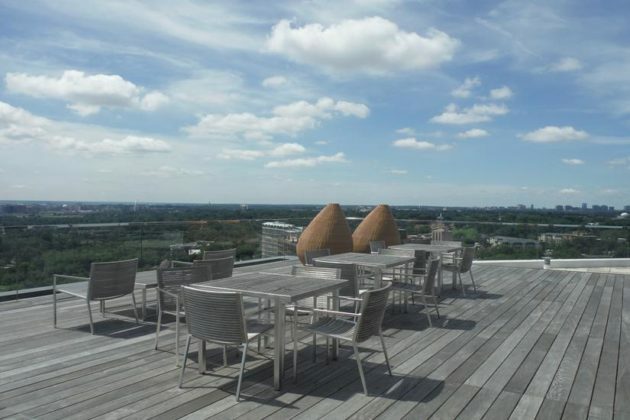 The office’s rooftop terrace offers views of Alexandria, Arlington and the District. 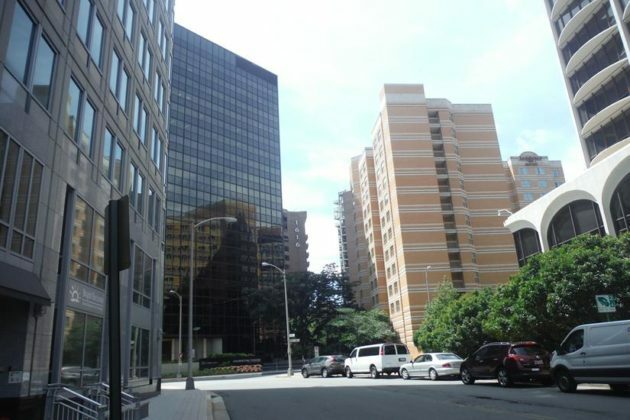 TheDream.US works out of Graham Holdings Company in Rosslyn. Summer interns Sadhana Singh (DREAMer, left) and Julia Leibowitz (right). Gaby Pacheco is TheDream.US’s program director. Last week, Facebook co-founder and CEO Mark Zuckerberg and his wife, Dr. Priscilla Chan, announced a $5 million donation to a non-profit right here in Arlington. The announcement came via a Facebook post to Zuckerberg’s 32.7 million followers which has reached 153,072 likes and counting. The organization in question, TheDream.US, is a scholarship fund designed to help undocumented immigrants realize their dreams of going to college in the United States. 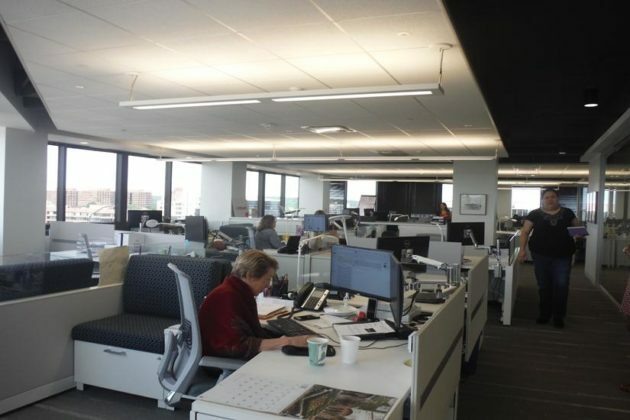 The brainchild of Don Graham, CEO of Graham Holdings Company and former publisher of the Washington Post, the non-profit has made its home in Graham’s Rosslyn offices for the past two years. Through his work with other education-based charities in the area, Graham says he learned that there were many such undocumented students in the D.C. metro area, particularly in Northern Virginia. These students are commonly called DREAMers after the Development, Relief and Education for Alien Minors Act that has been proposed several times since 2001 but has yet to pass in Congress. DREAMers are unable to receive federal aid to continue their education. In most states they are also not eligible for in-state tuition, which can make going to college prohibitively expensive. Graham says his organization was empowered to tackle this issue head-on after President Barack Obama announced Deferred Action for Childhood Arrivals in 2012. DACA allowed undocumented immigrants who had come to the United States when they were children to obtain a Social Security number, a driver’s license and temporary legal status, renewable after two years. In the summer of 2013, Graham, program director Gaby Pacheco and Henry Muñoz III gathered people together and proposed the idea of a scholarship program to enable those who had obtained DACA status to go to college. 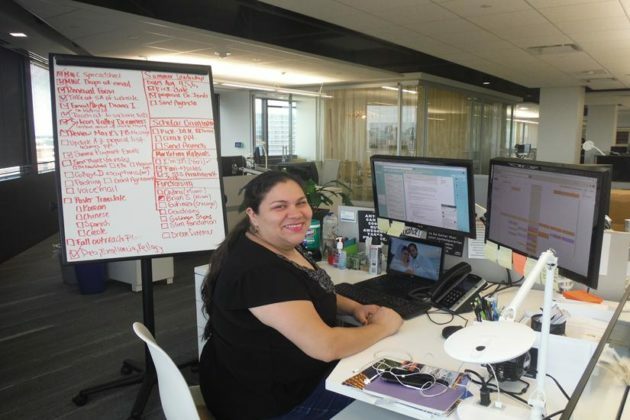 Amanda Bennett and Carlos Gutierrez joined Graham and Muñoz in founding TheDream.US, which officially launched on Feb. 4, 2014. TheDream.US currently partners with about 60 colleges across the U.S. Pacheco says they look for schools located in areas with high concentrations of undocumented students, where you can get a good education for around $25,000 (the scholarship amount offered by the non-profit). In Virginia, TheDream.US partners with Northern Virginia Community College and George Mason University. The fund currently has $81 million, including donations in the millions from Graham, Zuckerberg, Bill Ackman and the Bill & Melinda Gates Foundation. TheDream.US also allows donors to specify where they want their money to go: for example, Zuckerberg’s $5 million donation was earmarked for students in the San Francisco Bay Area. Pacheco believes this ability to ask that their money be set aside for their own region attracts donors to the organization. Another part of the organization’s mission is to tell these students’ stories. TheDream.US is doing this through their stories project, which spotlights the lives of notable DREAM scholars. 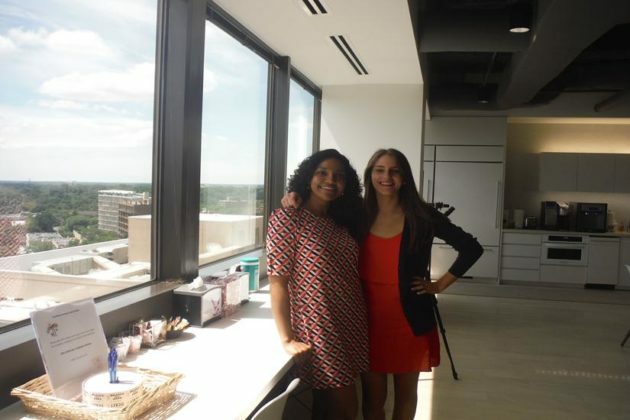 Interns Julia Leibowitz and Sadhana Singh (a current DREAMer) are working on the project this summer in the Rosslyn office. Students who wish to apply for a scholarship can do so starting on Sept. 14, when the third national scholarship round opens. Those wishing to donate can do so through the organization’s website.